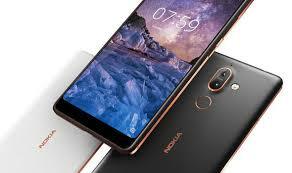 HMD Global, the home of Nokia phones, recently launched the Nokia 7 Plus, a smartphone with striking design, innovative imaging capabilities and powerful performance for up to two days with one charge. With enhanced Dual-Sight, highly sensitive ZEISS optics and Pro Camera mode, the Nokia 7 Plus captures images that are true to life, no matter the lighting. Selected by Google to join the Android One family, the Nokia 7 Plus offers a pure, secure and up to date Android experience. The Nokia 7 Plus stands out of the crowd with its unique ceramic-feel coating achieved through a 6-layer paint system that ensures improved call quality and signal as well as better grip. It brings a great tactile feel and is comfortable to hold while elegantly hiding antenna lines. Precision machined from a single block of 6000 series aluminium, the Nokia 7 Plus comes with copper edges, contrasting with the body to add a stylish two-tone touch. Its gently curved back and slim edges give you a big-screen experience in a comfortable, neat package. The vivid 6-inch 18:9 Full HD+ display makes the Nokia 7 Plus perfect for browsing, social media consumption, gaming and entertainment with more content in the same width as a traditional 5.5-inch display device. And with 4GB of RAM, it is fast enough to take on those of us always doing two things at once. The high-contrast polarised screen delivers an outstanding viewing experience even in the brightest of conditions, so you can enjoy your favourite content wherever you are. Introducing, for the first time on a Nokia smartphone, artificial intelligence led imaging features, making your already great selfies even better. And with masks you can have more fun with your camera and even add them to your #Bothies. The Nokia 7 Plus is available from R329.00 / month x 24 months on Post-Paid Operator deals or from R 5,999.00 prepaid / cash from network providers (deals may vary from network providers).